Welcome to the ultimate world of luxury and relaxation. 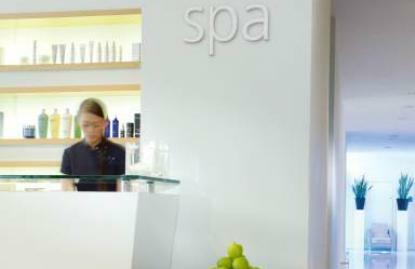 Rejuvenate your body and soul in our innovative urban spa right in the heart of Manchester. In the tradition of The Lowry Hotel we have harmoniously combined the highest quality products with an unmatched expertise in service. In accordance with Lowry's reputation for luxury and excellence, we are proud to offer a range of beauty philosophies tailored for indulgence. Offering highly exclusive and unique treatments and therapies, Elemis and Carita cater for all your beauty needs. The Lowry Spa has been crowned one of the ‘World’s best spas’ in the Condë Nast Traveller ‘Readers’ Spa Awards’, in addition to being commended by leading society and lifestyle magazine, Harpers Bazzar. I recently enjoyed a spa day at the Lowry with a few of my friends. Fantastic day, great treatments. Fun had by all. Would definately recommend to any who wants a day of luxury and pampering. Can't wait for our next visit. Loved the spa, the treatments were incredible, can't wait to return! Would highly recommend. I treat myself to the Lowry Spa once in a blue moon and it's worth every penny. A totally indulgent wonderful way to spend hard earned cash. My favourite treat is the Hot Stone Massage - I feel like I've been on holiday for 2 weeks after wards I'm so relaxed. Its a beautiful space just to hang out in and there's always the lure of a great cocktail in the bar. Going to a spa is a really treat for me, and at the Lowry they recognised this and made the whole experience feel really special. The surroundings were chic and calming and I was very well looked after. I enjoyed a range of their fantastic and exclusive spa services and left feeling a million times more relaxed! I can see why it's been crowned one of the world's best spas - I highly recommend it to anyone. I went here with my Mum for a spa package and the deal was great, included lunch. Was made to feel very special and the day was very well organised. I noticed that if not staying in the hotel then the prices are shockingly high. But for a spa break/package was well worth every pennt.